Green Vegan Living: I Love Ice Cream! Before we get started, I am required to inform you that everything I have given away thus far has been given to me completely free by the owning company(ies), and that we discussed and agreed to the terms before I offered the items on my blog. 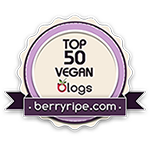 Now that that is out of the way, it's time to do a quick review of my favorite ice cream in the world, Coconut Bliss, and then proceed with my final 3rd vegan-anniversary-slash-blogiversary giveaway! I don't actually know the first time I tasted Coconut Bliss, but I do recall that it was not too long after I became a vegan. I had tried a few soy or rice ice creams and thought they were just okay, but nothing hit me quite as hard as when I took my first bite of Coconut Bliss. I don't even know what flavor I tried, but as soon as I tasted my first creamy bite, I was sold, and I tried almost every other flavor soon after. Second of all, most flavors have no more than 4 or 5 ingredients. Yeah, you read that right. And they're all organic and fair trade. Do you really need me to keep going? Fourth of all, even non-vegans can't tell that it's not "real" ice cream. The coconut milk does such a good job at fooling omnivores into thinking that they're ingesting something made by Dryer's that I've had people double-check with me that it is, in fact, animal-free. Now, there has been a bit of twitter (teehee) on Twitter (see why I was chuckling?) recently about the recent changes at Luna and Larry's, the parent company of Coconut Bliss. Read this article by the owners for more information (some of the comments are especially interesting!). Ultimately, when I want ice cream, this is the brand I turn to and, depending on my mood, or my pocketbook, I may grab as many as four different pints at once. Speaking of eating the ice cream, you'd probably like me to get to the winner, eh? I was out of town this week, but when I returned this evening I found that the lovely Kiley at Coconut Bliss sent me two packages of coupons for free pints of ice cream, which means that I am able to draw TWO names tonight! Your chances of winning just got that much better, especially if you entered multiple times. So, without further ado, the first winner is: Purplelarkspur!! And the second winner is: Priscilla!! **Priscilla, I don't have your contact information, so please get back to me right away so I can send these to you. If I don't hear from you by Sunday, I will draw another name. Congratulations! I am so jealous of you both right now because you get free ice cream. But that's okay, because maybe I'll just whine to one of my friends enough and someone will eventually buy me some?!? Happy weekend, everyone, and thanks again for being a part of my 3rd anniversary as a vegan! It's been a blast! Priscilla is my... stage name? Yeah, that's the ticket.